1 Prepare the fondue pot. Lightly crush and halve the garlic clove and rub all over the inside of the pot. 2 Place the cheese into the pot with the wine. Then stir over a medium heat until the cheese has melted and the mixture is smooth and creamy. 3 Mix the cornflour smoothly with a little Kirschwasser and stir into the cheese mixture. Briefly bring to the boil. Season with salt, pepper and nutmeg. 4 Stand the pot on the burner and serve. 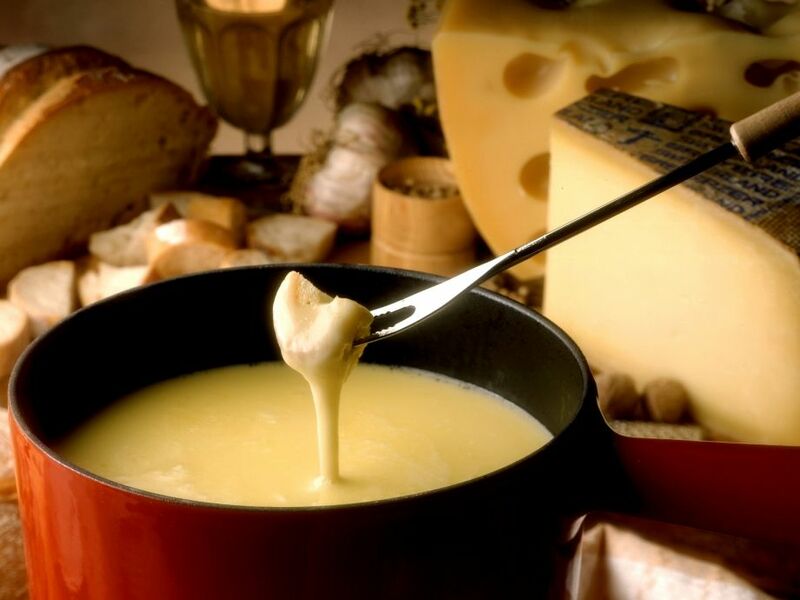 Provide cubes of bread to dip in the cheese fondue.